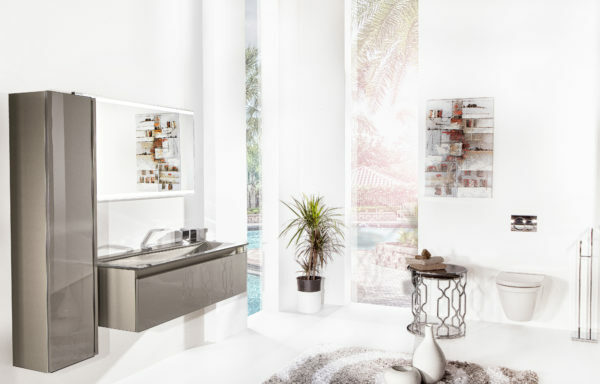 Armadi Art Acqua Collection showcases an amazing array of inspired designs for today’s bathrooms with its remarkable collection of wall hung vanities. 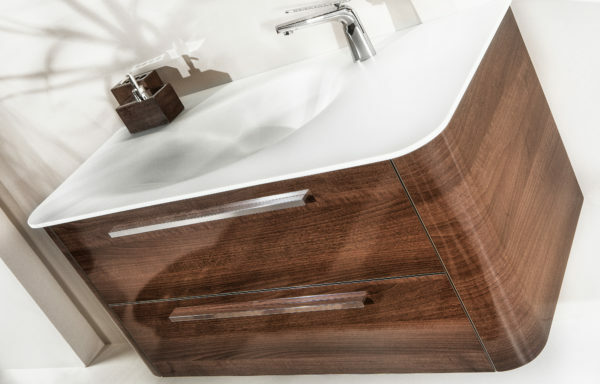 The crisp and contemporary series is notable for its modern sophistication as well as its expertly engineered design that promises practical usability. Wall hung vanities are popular for their space-saving properties, especially in smaller bathrooms where square footage is precious. 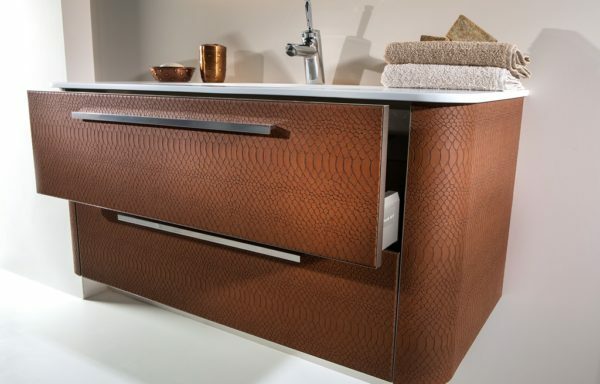 Within the Acqua collection are three series-Slim, Radius, and Flat-each with its own options for countertops, sinks, mirrors, medicine cabinets and linen cabinets. 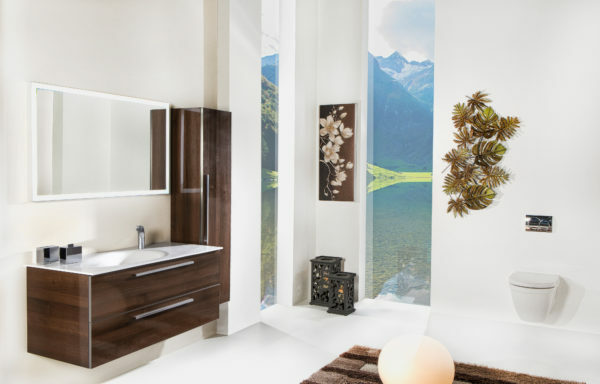 There are 32 different finishes available, including back painted glass, leather, and wood tones. 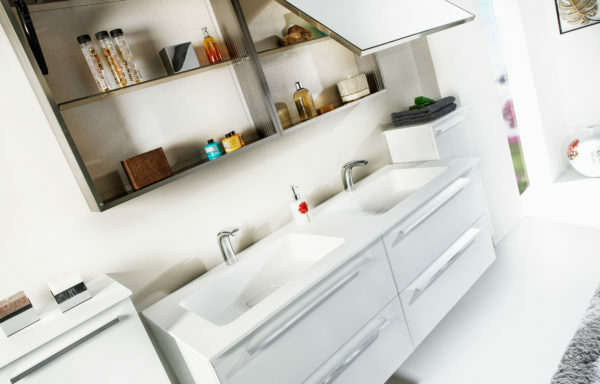 All cabinets are made of solid aluminum construction and are 100% waterproof. They arrive fully finished with no assembly required and are easily adjustable during installation to the preferred height.